The 2-part follow-up to Q Who?, where-in we were introduced to the Borg, this is now regarded as the ultimate TNG episode by many Star Trek fans, with the inclusion of the ultimate cliffhanger between parts one and two (this was the 1st cliffhanger on Star Trek). This 2-part episode wasn't terrific just because of the Borg threat, however. 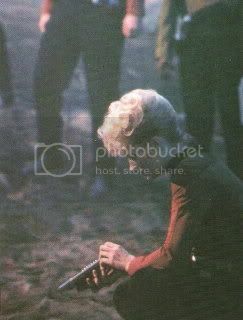 This 2-parter has just about everything a Trekker could ask for; there's a scene of the weekly poker game, for example. 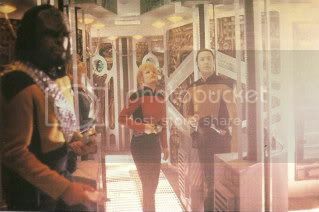 More, the entire subplot of Riker's tense competition with commander Shelby (guest star Elizabeth Dennehy) provided an entirely new dimension for Riker's character for all of us to gape at. 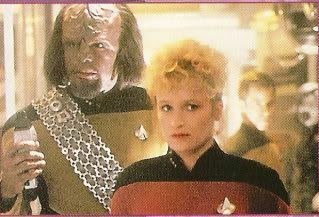 Characters such as Riker were actually challenged in this episode - along with everyone else in the crew. The character of Shelby represents ultimate ambition in Starfleet - her drive as actually similar to the relentlessness of the Borg. It's hinted that her goals revolve mostly around advancing herself through Starfleet, not the immediate problem of halting the Borg, even if she does prove to be the most capable in the conflict. Perhaps she, like others, sees the Borg as a temporary problem at first, to be soon resolved, and even she has her doubts by the 2nd part. 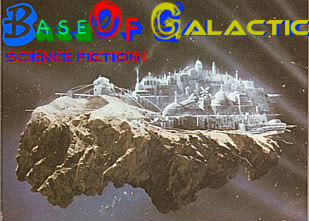 She also offers a subliminal contrast to the Borg: her goals revolve around the individual as opposed to a collective. The plot: a Federation colony has been literally 'scooped away' and very soon it's determined that the culprits are indeed the Borg. 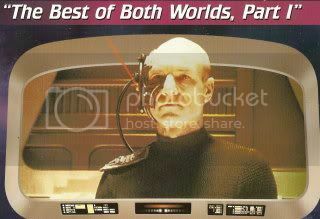 We find out that Starfleet Command has been preparing for the Borg threat for the past year (since the episode Q Who?) but are nowhere near ready for a full scale attack. The Enterprise-D, as expected, is relegated to the task of first offensive against the Borg ship but is obviously outmatched - at best, the ship functions as a brief delaying tactic against the Borg. Meanwhile, Admiral Hanson (George Murdock) assembles a 40-ship fleet to make a stand against the Borg ship at Wolf 359, several light years from sector 001 - the Borg's target, Earth. 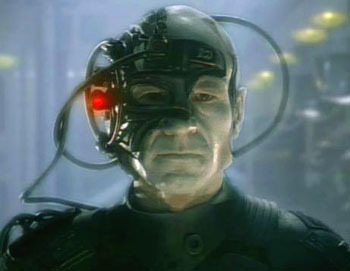 A serious setback: Picard himself is captured by the Borg and converted to a Borg drone. The Borg now have Picard's knowledge. It doesn't get more dicey than this.